Here are our most commonly asked questions. For any questions not covered here, please call 07801 644888. What is the difference between muscle relaxants and dermal fillers? Muscle relaxants focus on the upper section of the face and allow the muscles to relax, so that lines and wrinkles are reduced. Dermal fillers focus on the mid and lower level of the face and the filler helps to restore volume and buoyancy to the skin. Some of the treatments can be slightly uncomfortable, but a pre-local anaesthetic can be applied if there are any concerns. Our dermal fillers are already mixed with a pre-local anaesthetic before being injected to minimise any potential discomfort. Will I be left with a ‘trout pout’? Skin Deep Clinic will always advise the client on the most natural looking lip filler enhancement. If a client prefers a more heavily treated result, we will work with them on this to provide a look that they’re happy with. When performed correctly, just one treatment of lip filler will naturally enhance the lips, but won’t leave an overly treated pout. That is not the Skin Deep way! Usually, muscle relaxing injection results can last between three and four months. However, the effects can last even longer with clients who have received the treatment several times. Dermal filler results can last 6 – 18 months. Are there any risks with these treatments? No treatment requiring injections is completely risk-free. However, the risks are reduced when delivered by a fully trained professional. I have a postgraduate qualification in Clinical Anatomy and have treated over 600 clients and performed more than 3,000 treatments. 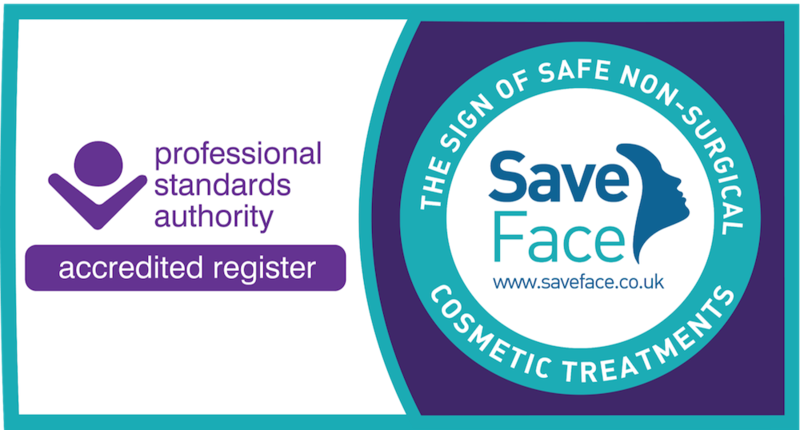 I am fully experienced in delivering safe and effective treatments, and am an accredited practitioner on the Save Face register. The most common side effects of treatments are a slight redness around the injection areas and occasional bruising. I can include the use of a micro cannula when injecting dermal fillers, which helps to reduce the risk of bruising and other side effects. None of our procedures will go ahead until a consultation has taken place to fully assess your individual requirements and concerns. How can I guarantee I am getting a safe treatment? Whether this is your first time considering a non-surgical aesthetic treatment, or you’re simply looking around for a new clinic, you’ll want to know you’re putting your money and safety in professional hands. There are a lot of “cowboys” operating in the UK, beauty therapists who aren’t qualified to be injecting but are doing so nonetheless. I am dedicated to making aesthetic treatments carried out in the UK safe, no matter who is administering them. That is why I support organisations like Safety In Beauty and Save Face, that work to eradicate unsafe practices and make sure the public are making safe, educated decisions. I am a Save Face accredited practitioner, listed on their UK register. This involved an on-site assessment of my clinic, an audit by the Clinical Director and meeting exceptionally high standards of practice. You can learn more on my Save Face profile.